While the average flood loss amounts to over $43,000, Hurricane Harvey showed average losses as high as $115,000. Even just one inch of water in a home can cost up to $25,000 to repair. Your homeowner insurance doesn’t cover water damage and most of us couldn’t typically dip into savings for this type of expense. 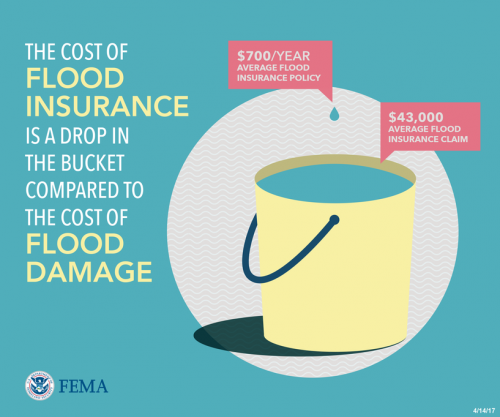 The average flood policy, however, costs around $700 a year and fits the budget much easier. In fact, “Research shows that individuals who have flood insurance recover more quickly and fully after a flooding event than those who do not,” according to David Maurstad, FEMA administrator. With flood insurance, he says, “they can better protect the lives they’ve built.” These “insured survivors” are better able to rebuild their homes and their communities. Flood insurance is a good bet regardless of your flood zone. With changing weather patterns and growing storm intensity across the country, inland communities, as well as coastal areas, are experiencing stronger, more frequent flood events than ever. And often aging levees, dams and water drainage systems are not able to protect as they once did. Protection against flood loss starts with the identification of flood risk. Elected officials, local, state and federal, can help build resilient communities through supporting updated flood zone mapping, stronger building codes and land use and zoning plans that mitigate to protect against flood loss. Your community can participate in the NFIP Community Rating System and earn discounts on flood insurance policies for their entire community. More resilient communities are more insured communities. As an individual and as a community member, purchasing a flood insurance policy can protect your home and allow your community to recover quicker and more fully after a flood event. Now is the time to call your local agent for a quote for flood insurance, or review your existing policy to ensure you have the coverage you need. 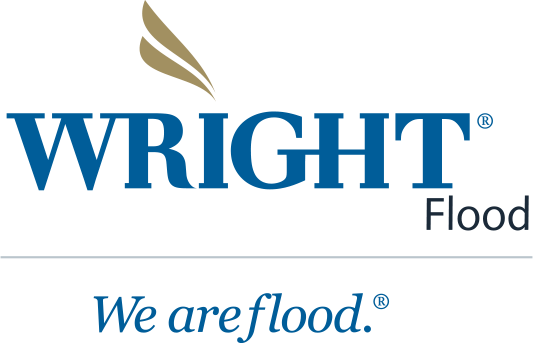 To find a Wright Flood local agent call 866-373-5663.